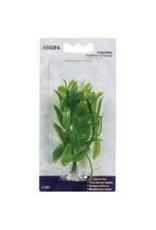 Aquaria Marina Mini, Hygrophila 4in-V - Rick's Pet Stores Inc.
Marina Aquascaper 10 cm (4 inch) Plastic Plants are natural-looking plants that undulate in the water current just like live plants. The life-like, translucent colours do not fade and are completely safe for all aquarium occupants. 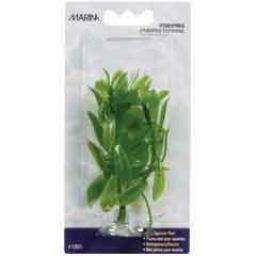 The plants come complete with a suction cup for easy and secure installation at the bottom of the aquarium base. The plants are easy to wash. A variety of plant species available. Species: Hygrophylia.